A growing number of states and school districts use school climate assessments in progress reporting systems and are interested in incorporating these assessments into accountability systems. 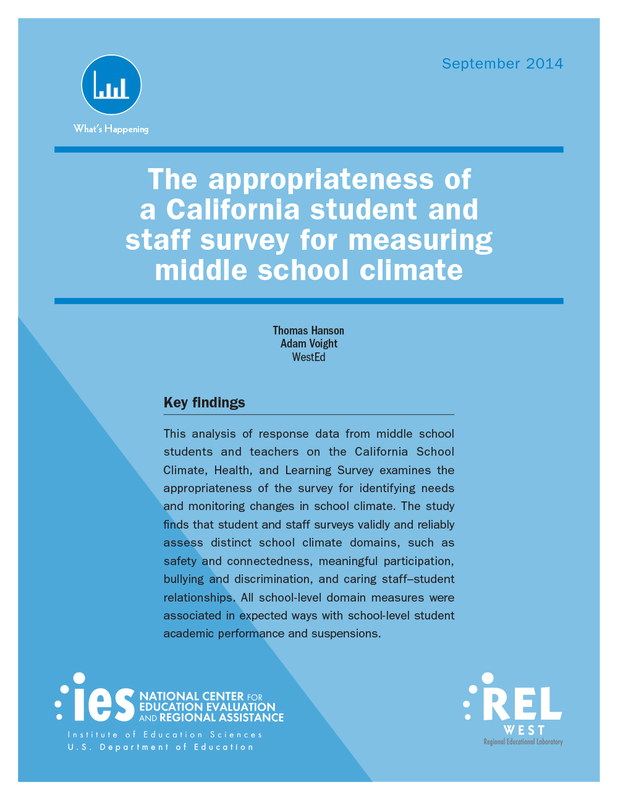 This analysis of response data from middle school students and teachers on the California School Climate, Health, and Learning Survey examines the appropriateness of the survey for identifying needs and monitoring changes in school climate. 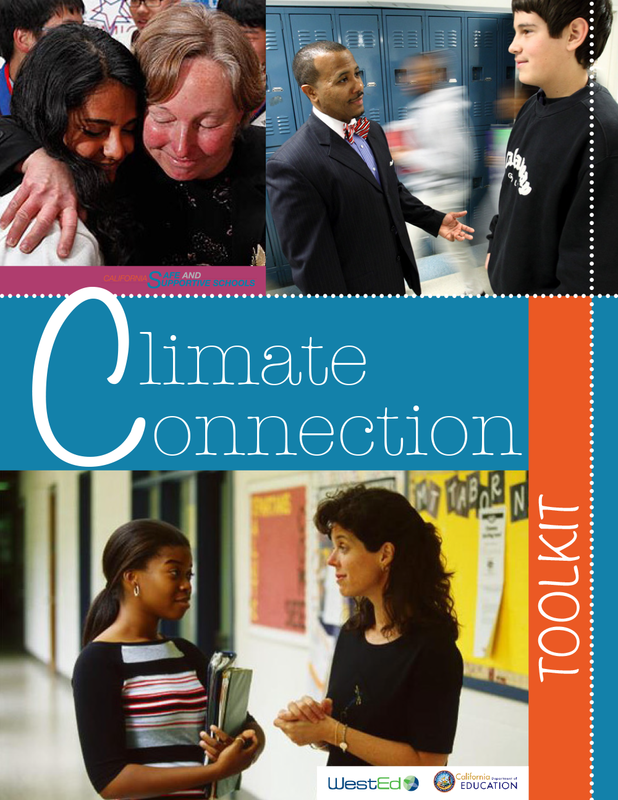 What school climate domains in middle school do the survey items measure? 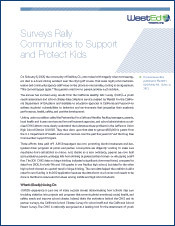 How reliably do the survey items measure school climate at the respondent and school levels? How stable are the school-level climate measures? Are the school climate measures related to student achievement and discipline infractions? The study finds that student and staff surveys validly and reliably assess distinct school climate domains, such as safety and connectedness, meaningful participation, bullying and discrimination, and caring staff–student relationships. All school-level domain measures were associated in expected ways with school-level student academic performance and suspensions. Effective school climates for students begin with effective school climates for staff. This What Works Brief recommends research-based strategies for staff. The motivation behind the California Healthy Kids Survey (CHKS) and its partner, the California School Climate Survey, is to give schools a tool to turn troubling statistics into projects and programs that serve students' emotional, social, health, and safety needs and improve school climate. Download the article to learn more about CHKS, nationally recognized as a leading tool for the assessment of youth resilience.